Ann August, Executive Director (CEO) of the Birmingham-Jefferson County Transit Authority (BJCTA), and several of her top lieutenants were pretty apprehensive about the daylong “High-Impact Governing Work Session” that was scheduled for January 9-10. 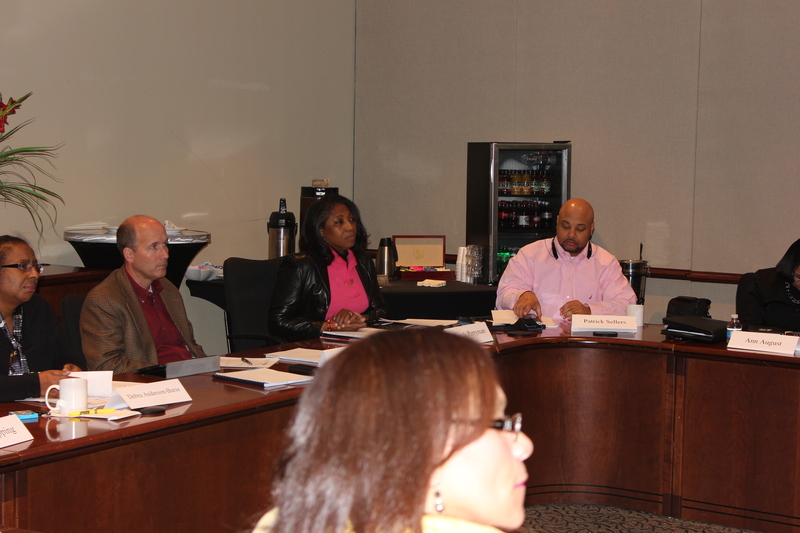 The BJCTA Board, Ann, and Executive Staff members would be brainstorming practical ways to clarify and strengthen the Board’s governing role and functions and to build and maintain a solid Board-Executive Director-Executive Staff working relationship. Ann and her senior executives had good reason to feel apprehensive. As BJCTA’s new Board Chair, Dr. Patrick Sellers, and Ann explain in a podcast that will be published at this blog next week, not only did BJCTA have a long history of contentious Board-CEO relations (and extraordinarily high CEO turnover), tension was higher than usual as the work session approached because of the then-Board Chair’s increasingly adversarial relationship with Ann. A special Board meeting only four days before the High-Impact Governing Work Session would be convening turned out to be a real game changer. With only two dissenting votes, the Board elected Dr. Sellers – a strong advocate for Board-CEO teamwork – its new Chair, signaling the beginning of a new era at BJCTA. I’ll let Patrick and Ann tell you more about the January 9-10 session in their upcoming podcast. I’ll just observe that the High-Impact Governing Work Session was not only a real success – achieving its objectives while actively engaging and energizing participants – it also felt like a real turning point in BJCTA’s history. Of course, time will tell whether a much firmer foundation for Board-Executive Director teamwork has been laid at BJCTA, but the January 9-10 session was certainly a big step in that direction, as was the Board’s dramatic decision to elect a new Chair committed to a really cohesive Board-Executive Director “strategic governing team.” By the way, you might want to take a look at this brief video of the part of the special BJCTA Board meeting when the vote to make Dr. Sellers the Board’s new Chair was taken: https://www.youtube.com/watch?v=PIF1V8FnJNQ. Over my 25 years of work with public/nonprofit boards and their CEOs, this is one of the most dramatic instances I’ve come across of a board parting company with a negative history and taking the initiative to re-build its relationship with the CEO. It’s great to see the BJCTA Board leading the charge in providing more effective governance of an extremely precious community asset. 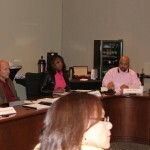 By the way, Board Chair Patrick Sellers is on the right in this photo from the January 9-10 session.